Are you struggling with a bad credit score? Or do you have no credit score at all? If either describes you, this complete guide on how to build your credit score can help you get to where you need to go, whether that’s building your credit score from the ground up, or fixing one that’s badly broken. Let’s start with the basics of what a credit score is, and what constitutes a good one. From there, we’ll move on to how to build your credit score from scratch, or improve the one you already have. A credit score is a numeric value assigned to the quality of your credit. Credit scores were developed as a means of standardizing credit evaluation. Rather than analyzing the details of each borrowers’ credit report – which is hardly objective – credit scores simplify the process by assigning a number to your credit. You are then evaluated for your creditworthiness based on your credit score. Whether your loan application is approved or denied. The interest rate you’ll pay on your loan, if it’s approved. Your ability to get some jobs will be influenced by your credit score. The premium rate on certain insurance policies. The higher your credit score, the greater the likelihood of a favorable outcome on any of the outcomes above. Notice that payment history comprises 35% of your credit score. But closely behind it is the “amounts owed”, at 30%. This is commonly referred to as credit utilization, which is the amount you owe on all your credit cards, divided by the total amount of your available credit. For example, if you have credit lines of $20,000 and you owe $10,000 on them, your credit utilization ratio is 50%. A ratio below 30% is considered good. But to the degree you exceed that ratio, your credit score will suffer. A ratio greater than 80% can seriously weigh down your credit score, even if you have an excellent payment history. Also, since there are three credit bureaus – Experian, TransUnion and Equifax – you have three credit scores. They should generally be in the same range, but they’re rarely exactly the same. 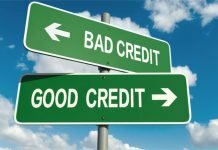 What is Considered “Good Credit”? 300-579 Very Poor 17% Credit applicants may be required to pay a fee or deposit, and applicants with this rating may not be approved for credit at all. 580-669 Fair 20.20% Applicants with scores in this range are considered to be subprime borrowers, meaning their credit standing is less than what is normally desired. 670-739 Good 21.50% Only 8% of applicants in this score range are likely to become seriously delinquent in the future. 740-799 Very Good 18.20% Applicants with scores here are likely to receive better than average rates from lenders. 800-850 Exceptional 19.90% Applicants with scores in this range are at the top of the list for the best rates from lenders. Notice that the percentage of consumers in each of the five credit score ranges is roughly equal, at around 20%. What constitutes “good” credit begins with a credit score of 670. At that score level, you will be eligible for approval on most loan types, so you may pay a slightly higher interest rate than someone with either “very good” or “exceptional” credit. Maybe you’re a young person just starting out in life, or perhaps you’ve avoided using credit up to this point. What’s the best way to build credit if you currently have no credit score? Timeline: At least six months of on-time payments. Degree of difficulty: Depends on your ability to get a strong cosigner. Who is it best for? Someone who has a cosigner with good credit and a willingness to cosign. This involves applying for a loan, but having another person cosign the loan as an inducement for the lender to approve it. If you have no credit, the loan will be made based on the credit history and financial strength of your cosigner. This can work well if you have a qualified cosigner. That person will have to be both willing to cosign your loan, and have the ability to qualify. If you don’t have someone who fits that description, it won’t be an option. Once you obtain the loan, and make payments on time, the lender will report your payment history to the credit bureaus. That will enable you to gradually build a credit score. The downside is that if you make any late payments, not only will your credit be affected, but so will your cosigner’s. And if you default, your cosigner will be called upon to pay off the loan. The best type of loan to do this with is an auto loan. Not only are cosigner arrangements common with auto loans, but as an installment loan, it will carry greater weight than credit cards. Timeline: Six months to one year. Degree of difficulty: Generally easy. Who is it best for? Anyone with at least a few hundred dollars available. This has become a popular trend in recent years, and is available with many banks and credit unions. If you have no credit score, you can take a credit builder loan, which is basically a secured loan. For example, let’s say you have $500 and you deposit it into a savings account with a credit union. The credit union can provide a credit card with the line secured by the savings account, for up to $500. As you use the credit line, and make monthly payments, the credit union will report your payments to the credit bureaus. Eventually, you’ll build credit scores. It can often help to eventually obtain a second or even a third credit builder loan. That will give you multiple credit references. With some of these loans, the lender will release your savings account if you have a good payment history, and the secured credit line will become unsecured. That will give convert it to a traditional credit card. Timeline: Six months to a year. Degree of difficulty: Moderate due to the many variables. Who is it best for? People with little or no credit. Becoming an authorized user on someone else’s credit card is a mixed bag. The basic idea is that the primary cardholder adds you as an authorized user for the card. That means you can make charges on the card, but you’re not responsible for the payments. Not all credit card issuers report account activity on authorized users. Credit scoring models may give less weight to authorized user status, so it may not have the beneficial effect you’re hoping for. The arrangement will only help if the account is in good standing. If there are late payments by the primary user, or the account balance is high (credit utilization issue) it could hurt your effort, and your credit score. Since you won’t be the primary cardholder, you’ll have little control over how the account is managed. That can work for you if the account is well-managed, but hurt you if it isn’t. Tread lightly with this one, and do plenty of research on the points above before moving forward. Degree of difficulty: Fairly easy. Who is it best for? Students and young adults with little or no credit. Student credit cards enable you to begin building a credit score very early in life. Many even offer related services, such as information on how to manage and improve your credit. One of the most popular student credit cards is the Discover it Cash Back Card. It offers 1% cash back on all purchases, 5% cash back on select revolving purchase categories, and even a $20 annual bonus for good grades. The card comes with no annual fee, and even provides your free monthly FICO score. Qualifying for a student credit card can be tricky. If you’re under 21, and you want to have the card in your own name, you’ll need to be able to furnish evidence of sufficient income or assets justify approval. You can often qualify with a part time job. You will also need to have either no credit history, or limited history with no derogatory information. These are not cards for people who already have impaired credit. However, if you don’t have an independent income, you will need to qualify as an authorized user on the card, with your parents most likely as the primary cardholders. If you obtain a student credit card remember to use it responsibly. It will only help you build your credit if you keep your balance low and make all payments on time. If you get sloppy with the card, you’ll only succeed in developing a bad credit history. That’s never something you want to have very early in life. Degree of difficulty: Depends on the method used. Who is it best for? People with no credit, or those with bad credit who are looking to add good credit references. Historically, rent and utility payments have only worked against you when it comes to credit. Neither landlords nor utility companies will report your good credit history to the credit bureaus. But if you have a past due balance, those will be reported to the bureaus. Translation: rent and utility payments can’t help you but they can hurt you. Rent reporting. There are several services that can get your rent payments added to your credit report. There are different methods for how this happens. 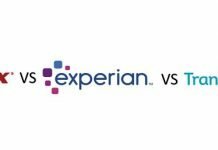 One service, Experian RentBureau, will show your rent as a trade line, including your payments for the past 25 months. The complication is getting your landlord to report your rent history to the service. There are fees involved, which may make them reluctant. Also, if your landlord won’t cooperate, you’ll need to begin making your rent payments to a rental collection service, which will involve fees to you. There are several rent collection services available, each with its own fee structure. Yet another option is Rental Kharma. It’s not a rent collection service, but it will report your payment history to TransUnion. They verify your lease, then verify that each rent payment has been made on time. You can also supply cancelled rent checks for the past 24 months to help the process along. The services will only work if you make your rent payments on time each and every month. Fortunately, most landlords won’t report a late payment unless it’s more than 30 days late. This one is a real long shot. 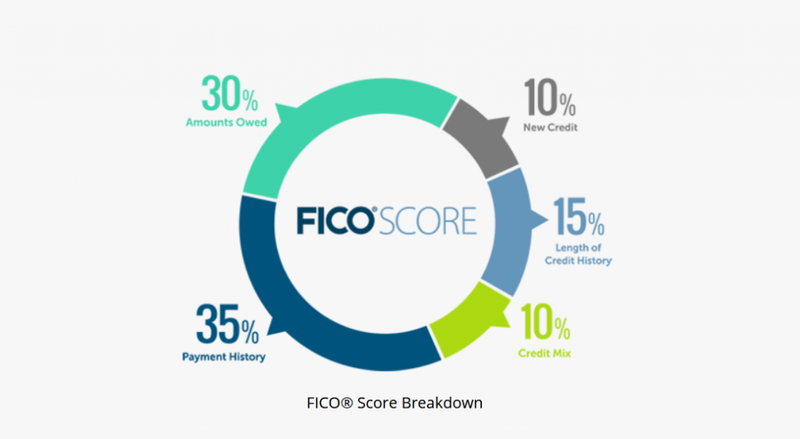 Back in 2015, FICO rolled out a new scoring model that includes utility payments. This includes not only utility companies, like gas and electric providers, but also cable/internet and cell phone services. Now this is considered an alternative scoring model, and it’s strictly applicable to people who have no current credit score. If you already have bad credit, this scoring model won’t help you. The other issue is the general lack of acceptance by creditors. Only a very few lenders use this FICO model. It may be more frequently used by mortgage lenders, and maybe even auto lenders. But its use among credit card issuers is rare. Meanwhile, the existence of this alternative credit scoring method is not incorporated into traditional FICO scores. It’s certainly worth a try, but whether or not it will work will depend on both your payment history with utility companies, and equally important, on whether or not a particular lender makes use of this unique FICO score. And of course, if you’re a young person or a student living with your parents, you won’t have either rent or utilities to report. For those reasons, rent and utilities have limited value as credit references in most circumstances, but particularly for students. Who is it best for? People with little or no credit, but at least $200 available. Similar to credit builder loans, these are secured credit cards. Most of them are issued by lenders you’ve never heard of. They work the same way as credit builder loans, but the credit lines are much smaller. Most start you out with a credit card with a credit line of $200, which will require a matching security deposit. You’ll use the cards, and make monthly payments, and your payment history will be reported to the credit bureaus. That will enable you to gradually build a credit scores. The downside of these cards are high fees. For example, a lender may provide a credit limit of $200, but charge a $50 annual fee upfront. That will reduce your credit limit to $150, which won’t give you very much in the way of spending capability. These cards are only recommended if you can’t get a cosigner for a loan, or don’t have the money for a credit builder loan. Let’s say you already have a credit score, but it’s well below what you want it to be. What are the best ways for improving your credit score? Timeline: Within 30 days of payoff. Degree of difficulty: Easy if you have the funds, impossible if you don’t. Who is it best for? Anyone with past due balances. These can include past due balance is on active accounts; collections, charge-offs and judgments on old debts, or even tax liens. If you have any such obligations outstanding, paying them off is one of the quickest ways to improve your credit scores. Start by paying the smallest ones first. For larger balances, negotiate with the creditor to accept less than the full amount. Any payoffs should include a paper trail. That can be either a canceled check, a letter of satisfaction from the creditor, or both. Understand however that paying off of a past due balance doesn’t remove the negative entry from your credit report. But a paid collection is always better than an unpaid one, so you’ll still be moving in the right direction. Timeline: Depends on your credit history. Degree of difficulty: Can range from moderate to very difficult. Who is it best for? Anyone with errors on their credit report. Get a copy of your credit reports – one from each of the three credit bureaus – from AnnualCreditReport.com. You’re entitled to a free copy of your credit report from each of the three bureaus, each year. Review each of the three credit reports. If you spot any errors, you’ll need to contact the reporting creditor, and get the information corrected. You will generally need to supply documentation proving the derogatory entry is an error. If you can prove your case, get a letter from the creditor confirming the correction, and make sure they report it to all three credit bureaus. This is not an easy task to pull off, but it’s one of the quickest ways to improve your credit scores. Any derogatory information you remove will raise your credit score. 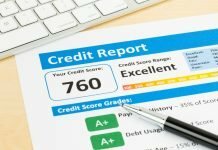 It’s better to avoid using credit repair services, as the reputation of participants in that industry is highly questionable – and expensive. Timeline: At least one year, and probably two or even more. Degree of difficulty: It depends on your financial situation and your commitment. Who is it best for? Everyone. We’re covering this one first because not only is it obvious, but you won’t be able to move forward without it. Simply put, from this day forward, make all payments on time. That’s not just debt payments either. It includes rent, utilities, phone services, and subscriptions, like gym memberships. You must develop a pattern of good credit going forward. Degree of difficulty: Very easy, until you spot a new error. Who is it best for? Everyone, regardless of credit level. Once you’ve fixed any errors up to this point, it’s important to continue monitoring your credit. Just as errors appeared in the past, they may again in the future. You’ll need to stay on top of this situation. That will require monitoring your credit on a regular basis. There are several free credit score providers that can help you do this. One is Credit Karma. Perhaps the most popular among free credit score providers, Credit Karma provides your VantageScore3.0 from TransUnion and Equifax. They also provide details of your credit score components that are the near equivalent of a full-blow credit report. 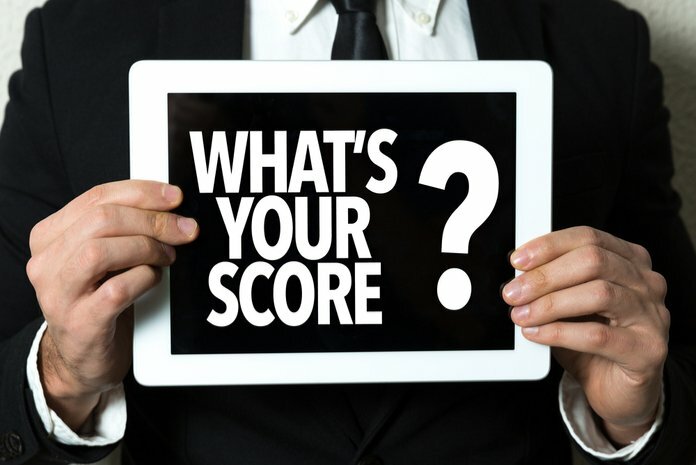 If you notice a significant drop in your credit score (20 points or more) it’s likely some sort of derogatory information has appeared on your credit report. You can then open a dispute if the information is an error. This is always best done when the error first appears, so that both your memory is fresh and needed documentation is readily available. Degree of difficulty: Easy if you have the money to do it, difficult if you don’t. Who is it best for? Anyone with high credit card balances. Remember earlier when we were talking about credit utilization? One of the most effective ways to quickly improve your credit scores is by reducing your ratio by paying down your balances. If you can lower the ratio from, say, 80% to 50%, you should see a noticeable improvement in your scores. The lower you can get it, the better your credit scores will be. Timeline: Depends on your credit history, but a minimum of one year. Degree of difficulty: Depends on your credit history. Pay all bills on time from now on. Get a credit builder loan (or two). When it comes to bad credit, time can be your friend – at least if you pay all your bills on time. Derogatory credit information falls off your report after 7 years (10 years for some items, like Chapter 7 bankruptcy). But If you clean up some of your old bad credit, and create a pattern of good new credit, your credit scores will begin to rise in a lot less than seven years. There may be credit repair cheerleaders out there convincing you there’s some magic formula that only they have. Don’t believe it. Credit scores aren’t built – or fixed – overnight. It can take months to raise your credit score by 30 or 40 points, and years to move it from “poor” to “excellent”. Use the strategies in this guide, and you’ll get there in due time – without the help (or cost) of any would-be credit experts. © © 2018 Practical Credit. All rights reserved.